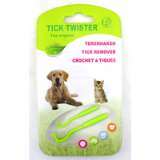 Tick key is designed particularly to remove ticks that are hard to remove from dogs and cats. Vetsupply offers the tick key at cheap rates. 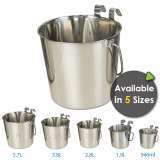 Made of high quality stainless steel, these buckets are ideal for hanging against fencing to avoid spillage and damage. Available in 5 sizes to suit all shapes and sizes.